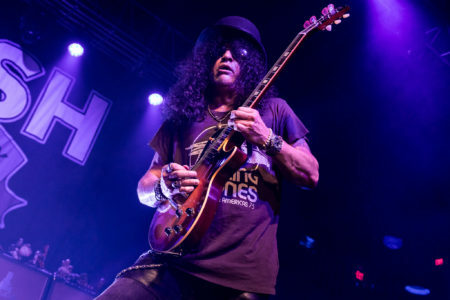 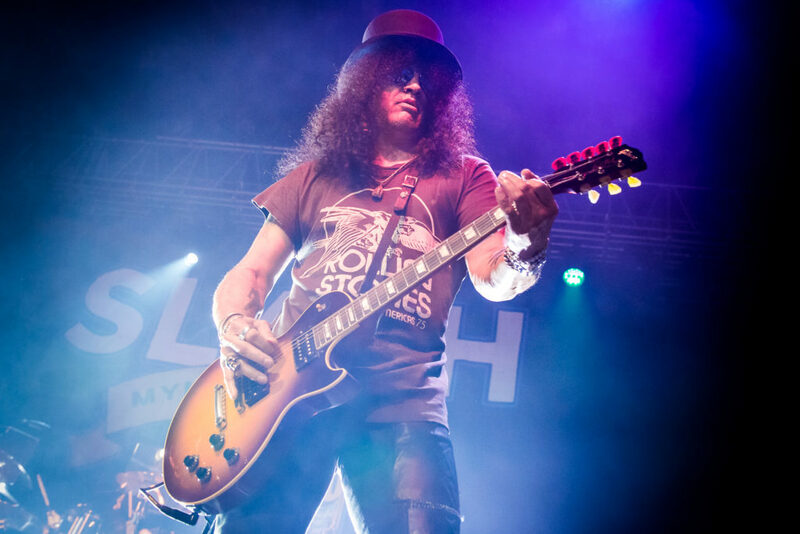 (TRR) – Last night in Philadelphia, iconic axman Slash showed up to shred at the new North Seventh – the rebranded venue formerly known as the Electric Factory. 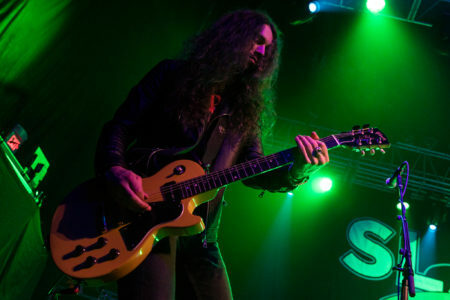 The historic spot was recently acquired by AEG Presents/The Bowery Presents. 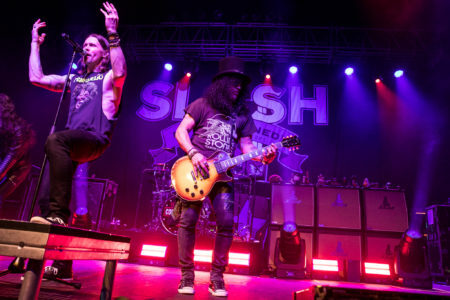 The new owners have enlisted fans around the City of Brotherly Love to help determine a permanent name for their holy house of rock ‘n’ roll. 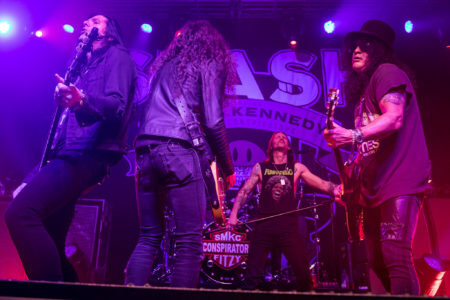 Until then, North Seventh it is, and acts like Slash featuring Myles Kennedy & The Conspirators are performing business as usual. 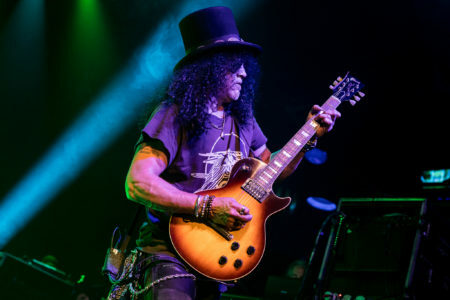 Slash kicked off the night with “The Call of The Wild,” the opening burner from his new LP Living The Dream. The hefty 21-song set that followed contained a good amount of the new album, as well as choice cuts from Slash’s entire career. 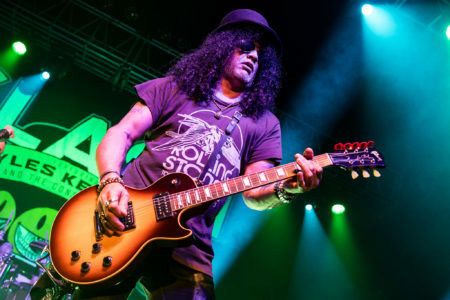 Velvet Revolver’s “Fall To Pieces” and Guns N’ Roses’ “Rocket Queen” were among key highlights, the latter featuring a lengthy guitar solo that the fans were stoked on. 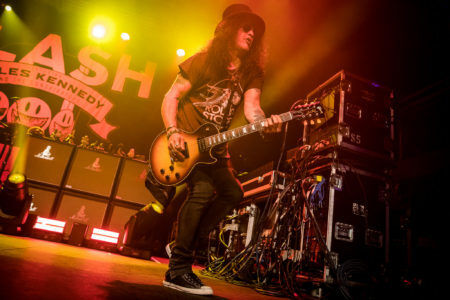 The first leg of Slash’s Living The Dream Tour wraps up next week at the Hollywood Palladium in California. 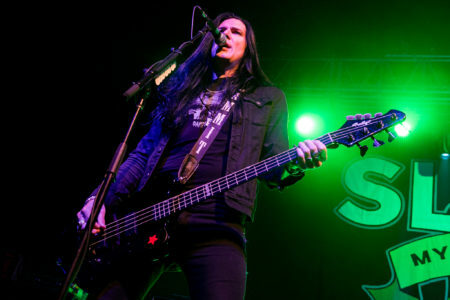 His latest album of the same name recently debuted at #27 on the Billboard Top 200. 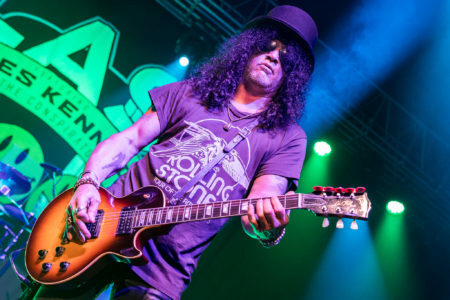 In November, Slash will embark on world tour dates with Guns N’ Roses. 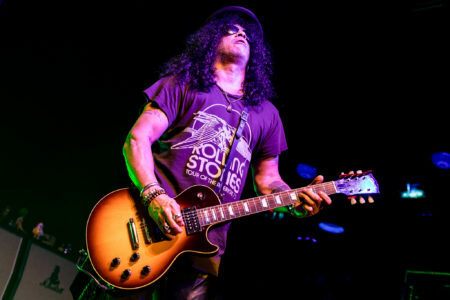 His global solo trek will resume in 2019. 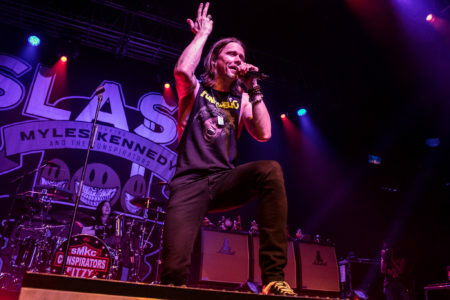 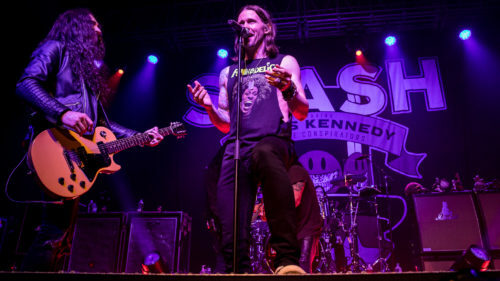 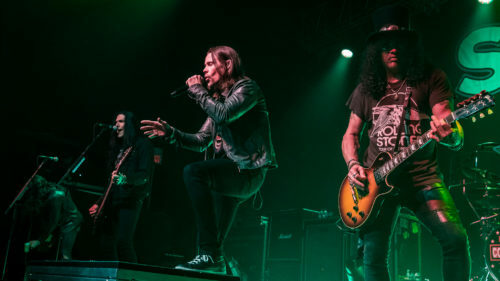 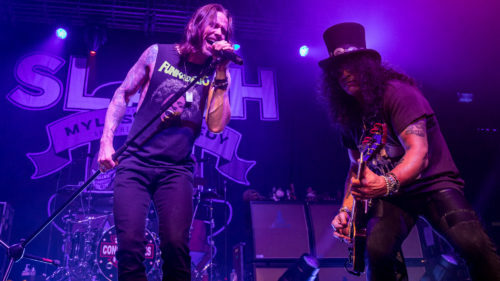 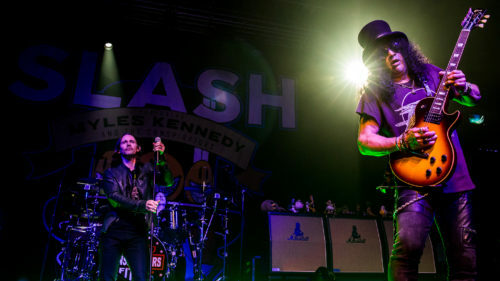 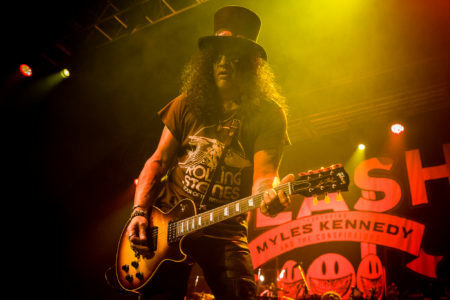 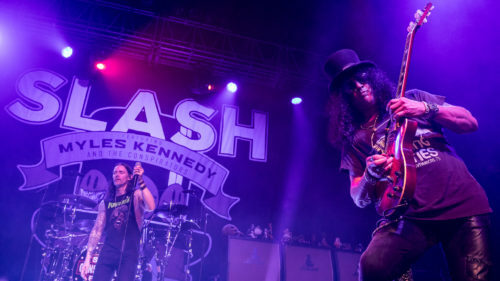 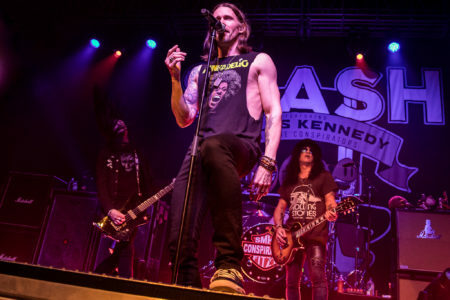 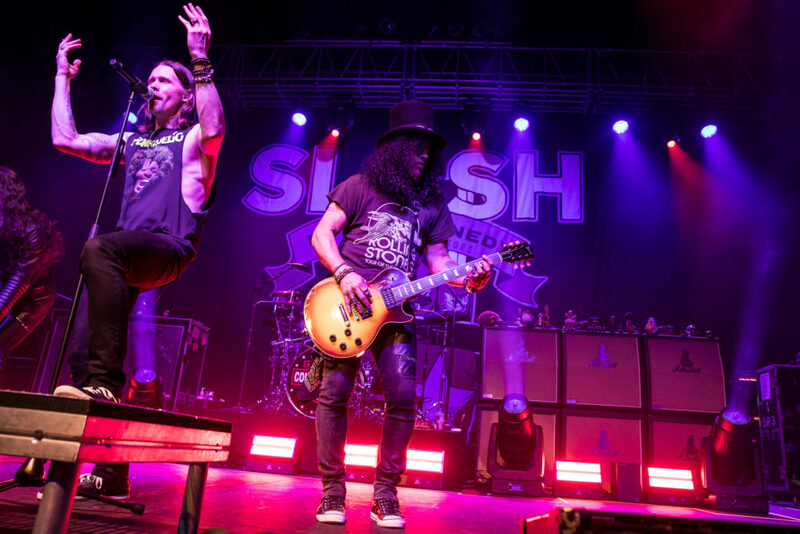 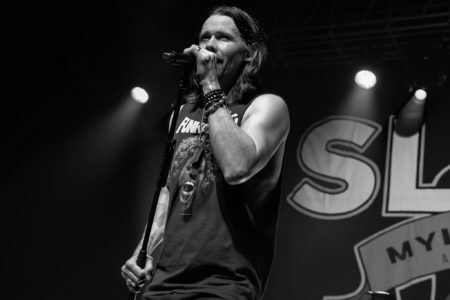 Tagged live photo gallery, Myles Kennedy, Slash, tour.